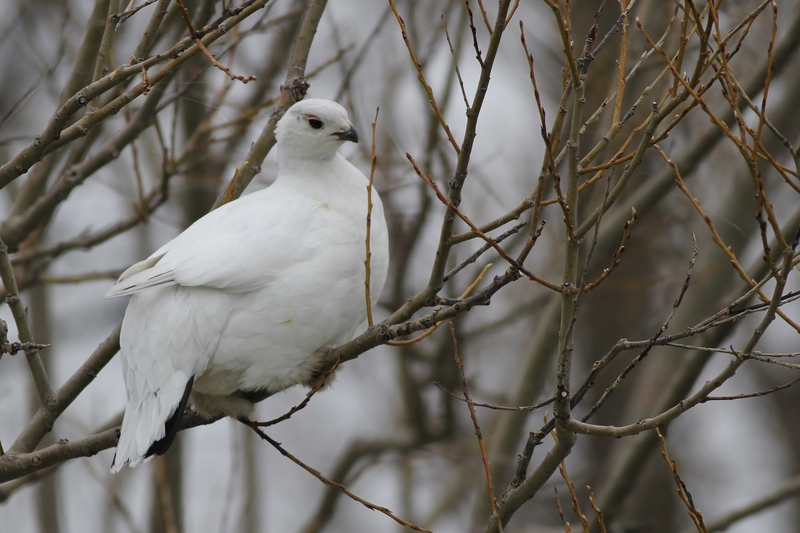 Willow Ptarmigan – 1st for New York! Today myself and 8 fellow PA birders embarked on a weekend-long PSO field trip to the southern Lake Ontario shoreline, however our plans took a very unexpected turn when I noticed a forwarded email. 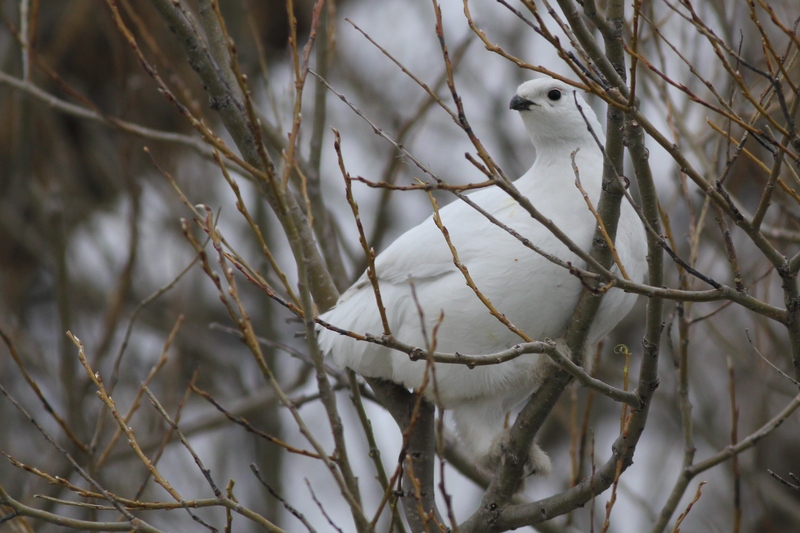 It was from Drew, saying that there was a Willow Ptarmigan on Point Peninsula in Jefferson County reported by Eugene Nichols. 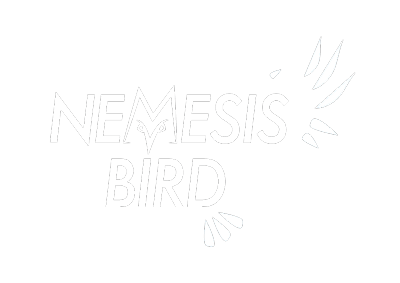 Obviously we were all quite skeptical of the sighting, but the email from Jeff Bolsinger seemed convincing and, at the time, we were only about an hour from where the bird was seen. We picked up Drew at the Derby Hill Hawkwatch, tried to ignore the non-stop raptor flight overhead, and drove up to Point Peninsula to search for the ptarmigan. 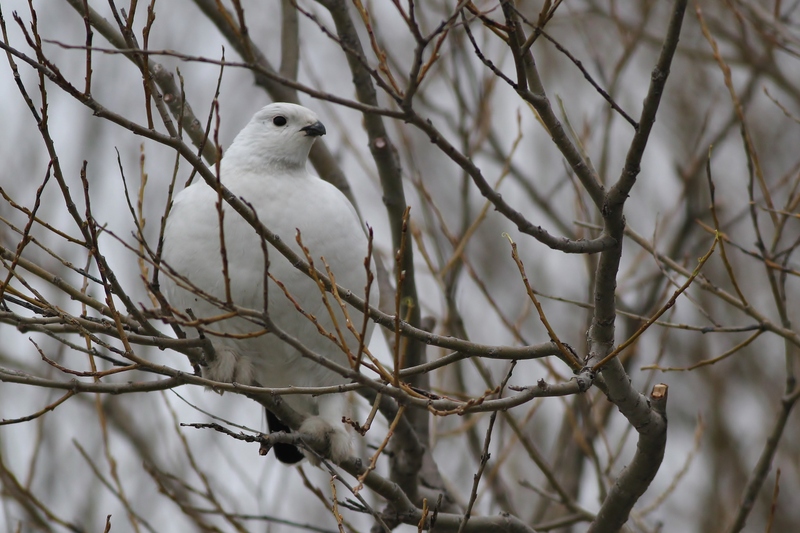 When we arrived Jim Tarolli and Dave Wheeler were there and quickly got us onto the ptarmigan – a beautiful bird in stunning, pure white winter plumage! We gathered around and watched as the plump, disoriented bird foraged for buds in a willow along the lakeshore seeming to ignore the growing number of gawking birders. A local homeowner driving past slowed down to ask what we were looking at, and after explaining, she offered to let me take her kayak out and around for closer, unobstructed photos of the bird! Within minutes I was in a kayak on the lake and less than 30 feet from the bird as it slowly climbed around pinching off buds to eat. What an incredible and insanely unanticipated lifer, and a great way to kick off our PSO trip! 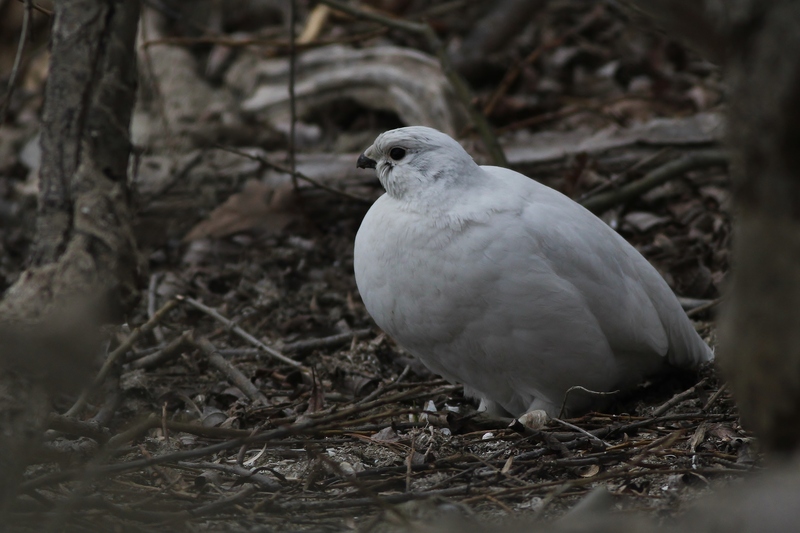 This is the first record of Willow Ptarmigan for New York (although there is one museum record from Lewis County), and one of only a handful of records for the Lower 48! Lower 48 records from the the past 100 years come only from the state of Maine in 1951, 1977, 1990, and 2000. Thanks to Nate Swick, Peter Vickery and Benjamin Griffith. April 25- Seen all afternoon, through at least 7pm. April 26- Seen all day in the same location. April 27- Seen throughout the day, same location. 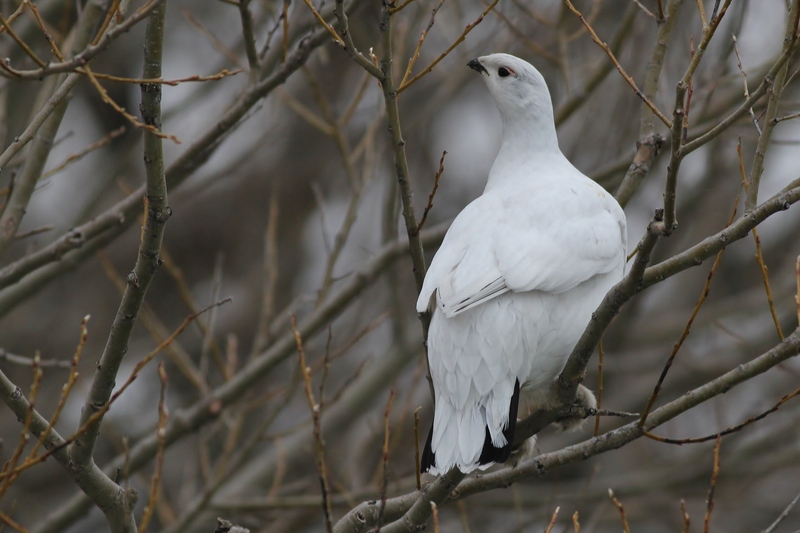 April 28- The ptarmigan has not been seen at all today, but could still very likely be in the area as there is lots of public land that it could be hiding in.